What exactly constitutes a “malicious” drone isn’t entirely clear, but it could range from teenagers using a small drone to peek over a fence to the kinds of military drones that are being used as weapons in several areas around the world. And, in fact, the companies cite “military bases, venues, cities, enterprises, correctional facilities, and more” as potential customers. 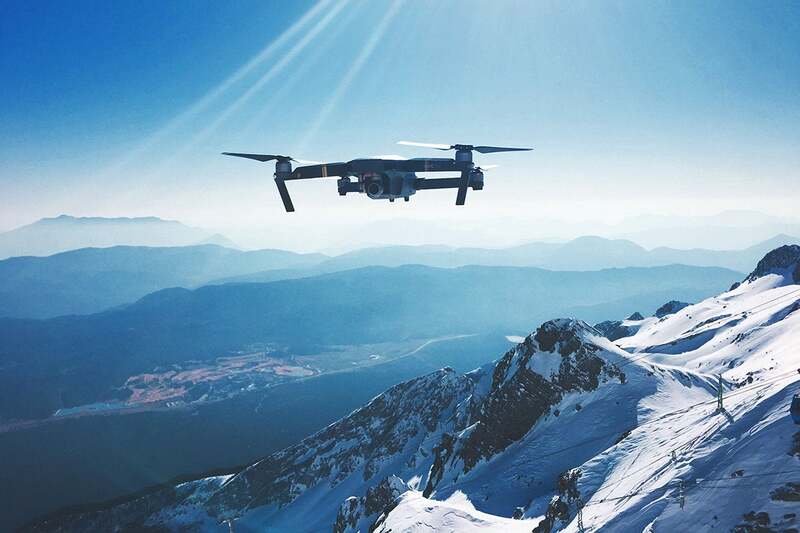 Further, DroneTracker, Dedrone’s “airspace security platform” is designed to detects a wide variety drones, the company notes, “including commercial, consumer and military-grade, as well as autonomous drones.” Dedrone leverages IoT sensor data to detect, classify, mitigate, and localize drone-based threats, the company says, while AT&T provides the LTE connectivity. Once a drone threat is detected, Dedrone notifies security personnel. ... But is the threat really that great for most business and industrial applications? I’m still not sure that knowing that AT&T and Dedrone — along with many others, I’m sure — are on the case makes me feel safer or even more vulnerable. Business professionals and IT practitioners agree that data are a valuable commodity for enterprises in many ways. The notion of using data to help monitor and manage risk tolerances in audit and assurance activities often is overlooked. Data should be considered and analyzed as the enterprise selects, plans and deploys controls, and should also be part of enterprise evaluation of the performance of those controls. This recently was highlighted by ISACA, which has put forth new guidance in partnership with SecurityScorecard titled Continuous Assurance Using Data Threat Modeling. In collaboration with industry experts, practitioners and ISACA subject matter experts, the guidance provides an excellent overview on how to adapt threat modeling to data in transit and data at rest as a strategy to put forth a more holistic, comprehensive and continuous model for understanding data risk and for analyzing potential risk in the supply chain. More than one-third of respondents ranked network security challenges as their top concern when planning, deploying and managing enterprise networks. As mobile devices continue to expand and redefine the network edge, network security challenges remain a top issue, the study found. Additionally, 83% of respondents identified several types of network and telecom fraud as serious issues. More than half of IT pros cited identity fraud as a primary concern in relation to real-time communications. The expansion of communications channels -- such as voice, email, video, chat and in-app communications -- also affects network complexity, deployment, management and what defines the network edge. To combat network security challenges and improve control, IT pros said they would consider emerging technologies, such as biometrics, artificial intelligence and blockchain. The survey, dubbed Enterprise Networks in Transition: Taming the Chaos, also highlighted software-defined WAN as a technology that could help enterprise networks evolve. Yet, according to the survey, North America lags other regions in software-defined networking deployments. Is Blockchain a Universal Platform? The attacker or group of hackers behind the attempted shakedown has also demanded a ransom, payable in bitcoin, in exchange for the promise of a decryption key, port officials say. The port says that while IT systems have been disrupted, much of the port's business continues without interruption. "It is important to note that this is mainly an administrative issue and normal port operations are continuing as usual," says Port of San Diego CEO Randa Coniglio in a statement. "The port remains open, public safety operations are ongoing, and ships and boats continue to access the bay without impacts from the cybersecurity incident." The Port of San Diego - spanning the cities of Chula Vista, Coronado, Imperial Beach, National City and San Diego along the 34 miles of the San Diego Bay - is the fourth largest of California's 11 ports. 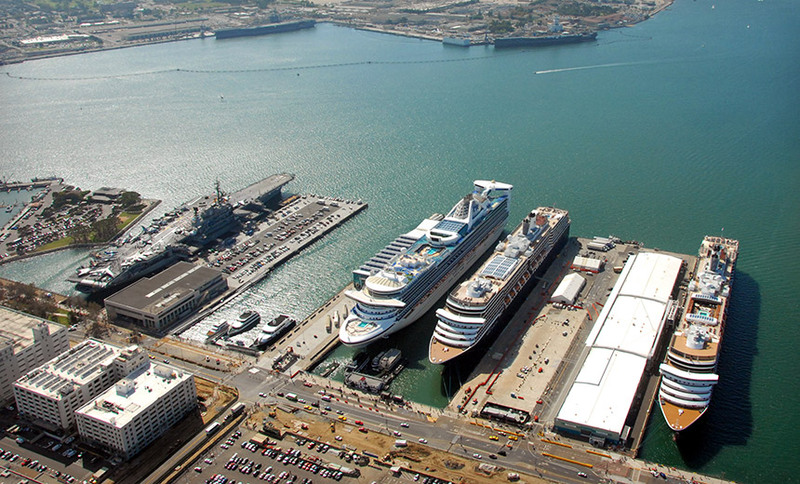 It includes two maritime cargo terminals, two cruise ship terminals, 22 public parks, the Harbor Police Department and leases for hundreds of businesses, including 17 hotels, 74 restaurants and three retail centers, plus museums and bay tours. No security program is perfect, but some need more attention than others. What are the checkpoints that will help organizations understand where their security programs are ailing, how to make the right diagnosis, and begin the proper treatment? ... Just as the brain controls how the body functions, the leadership of a security organization controls how that organization functions. When looking to evaluate and understand where a security program stands, one of the first diagnostics should be focused on leadership. Do security leaders have a clear vision? Do they have a solid strategy? Are they focused on the right goals and priorities? Do they have the right plan to make their strategy a reality? Do they have the ear of the executives, the board, and other stakeholders? Are they building the right team? ... Security operations could be considered the central function of a security program, analogous to its heartbeat. Just as a healthy, regular heartbeat is critical to the health of the body, a healthy security operations program is critical to the health of a security organization. Is the security operations team properly trained? 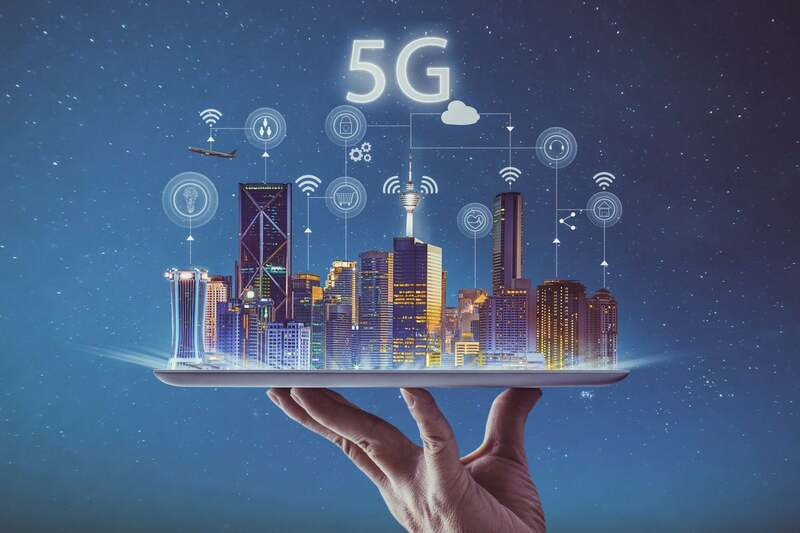 The wireless carriers hope 5G will enable them to compete with or replace ISPs, cable companies, and satellite internet and TV companies. So that’s nice. But it will probably be more than 15 years before 5G replaces 4G for most users most of the time. 5G won’t be reliable enough anytime soon for companies such as Apple and Samsung to remove the supercomputer-like processing power from smartphones and move everything to the cloud. I’m afraid that $1,000-plus smartphones are here to stay.And because of the way 5G works, rollouts will soon face another huge hurdle. ... The technology comes with a requirement that towers be far greater in number and far closer to users. Some residents in North Potomac say more than 60 5G wireless towers have been installed less than 30 feet from their front doors. It’s possible that definitive, widely accepted proof may emerge that clearly shows a health risk from 5G wireless equipment. It’s likely that debate over the health effects will continue. But it’s not even remotely conceivable that everybody will agree that 5G is harmless. The good news is that automated interactions will only become more tailored and efficient in the future as more businesses turn to AI in order to understand conversations in any language, automate repetitive processes and solve customer problems faster than the competition. Ultimately, it’s not a matter of AI and automation replacing customer support agents but rather enabling them to become ‘super agents’. And, the advantages that these ‘super agents’ pose for business growth are undeniable - from visibility (AI knows everything your users are doing, your customer support team does not), to sheer productivity (AI doesn’t need to sleep, eat or take time off). Inevitably, the decision to add automation to the customer service mix requires smart decisions and a solid understanding as to where and how automation can achieve cost savings while always fostering better, more personalized customer experiences. On average, most organizations believe that half of their revenue will come from digital channels by 2020. Furthermore, the World Economic Forum estimates that the overall economic value of digital transformation to business and society will top $100 trillion by 2025. Other similar data are easy to find. These represent vital macroeconomic trends that are the most significant attainable new business potential for the typical enterprise. Any way you look at it, the largest growth opportunities that most organizations can access now is to better seize the white space in these rapidly expanding digital markets. The latest trends in digital transformation for next year reflect some particularly hard won lessons from the past few years, on both the business and technology sides. It's worthwhile taking the time to understand how these insights came about, as organizations earlier in the journey can avoid making many of the same painful, expensive, and time-consuming realizations along the way. As they say, one useful definition of 'smart' is not making all the mistakes oneself. Fortunately for neuroscience, mathematicians, data scientists, and computer scientists have been wrestling with their own “information overload” challenges, coping with exponential increases in the volume, variety, and velocity of digital data spawned by Moore’s law revolution in digital technology. Google, for instance, ingests unimaginable volumes of data every second, that they must somehow “monetize” (make money from, because their services are largely “free”) by precisely targeting digital advertisements to people who use Google search or Gmail. Google can only do this with the aid of massive cloud computing systems running complex math and AI algorithms that quickly recognize patterns and act upon these insights to serve up ads in real time. One branch of AI, called “cognitive computing,” holds particular promise for extending Nicolelis work to humans. Cognitive computing, which goes well beyond simple pattern recognition, achieves deep understanding of the underlying causes of complex patterns, instead of simple recognition that patterns exist.